The Rosario Islands, an archipelago of 27 coral islands and tiny islets just southwest of Cartagena, are known for their cerulean waters and white sand beaches. 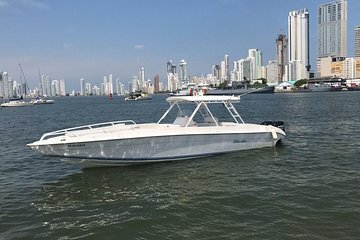 With this tour, turn up the music and treat yourself and your friends to a day of luxury aboard your own private boat with a pilot who can take you where you want, when you want. Wind down your day of beach hopping by watching the sun sink beneath the horizon.